Disclaimer: I received this product from the manufacturer for review. All opinions are my own and are my honest evaluation. 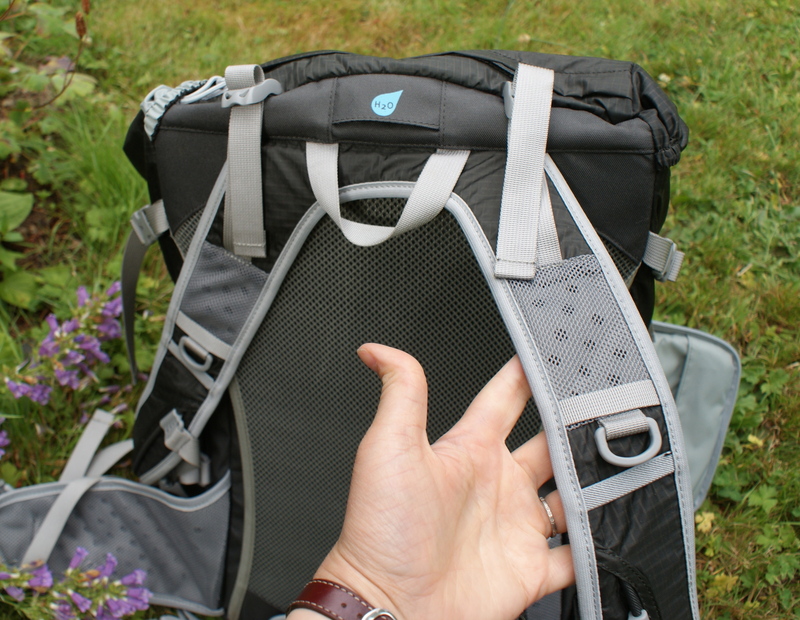 I recently had the chance to review the Lowepro Photo Sport Pro 30L AWBackpack. This pack is a combination camera bag and technical day pack. 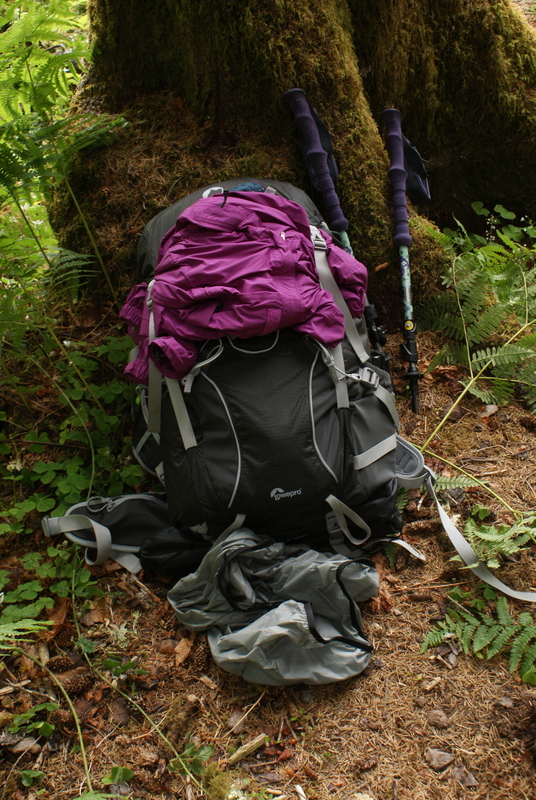 I used this pack on a long dayhike up the Hoh as well as some shorter urban and suburban trips with the kids. It rained quite a bit on my Hoh hike, and was sunny on the others. The padded camera section sits at the bottom of the pack and is accessible from the side. 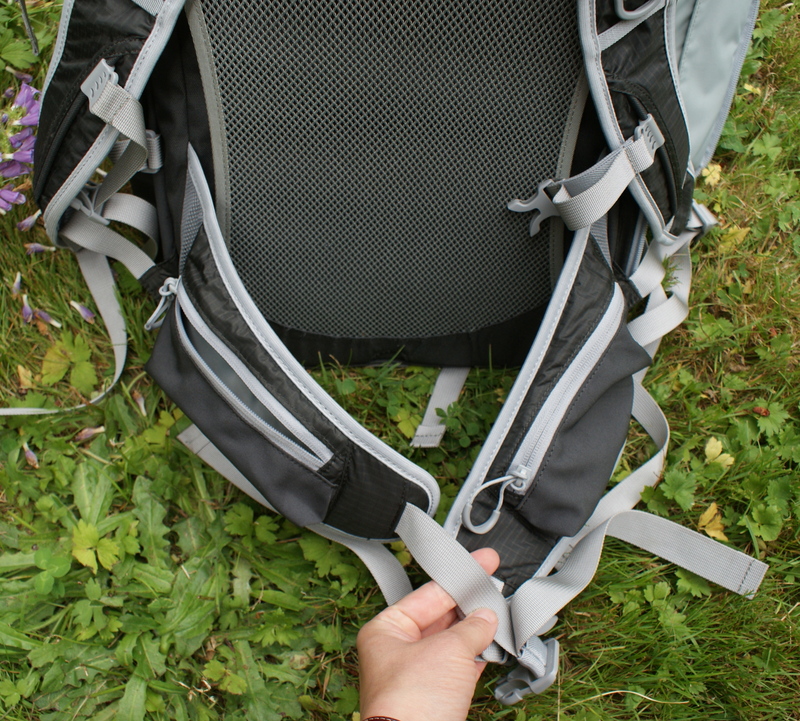 While you are wearing the pack, you can slip off one of your shoulder straps, slide the pack around, and unzip the camera section. I didn’t find it to be as quick as wearing my camera on a front harness like I usually do, but it was much cooler to wear in the heat and my camera was more protected on rainy days. The padded section has room for a traditional DSLR plus a second lens and some small accessories. You can remove the padding and use that part of the pack for regular hiking gear if you decide to bring a smaller camera or none at all. 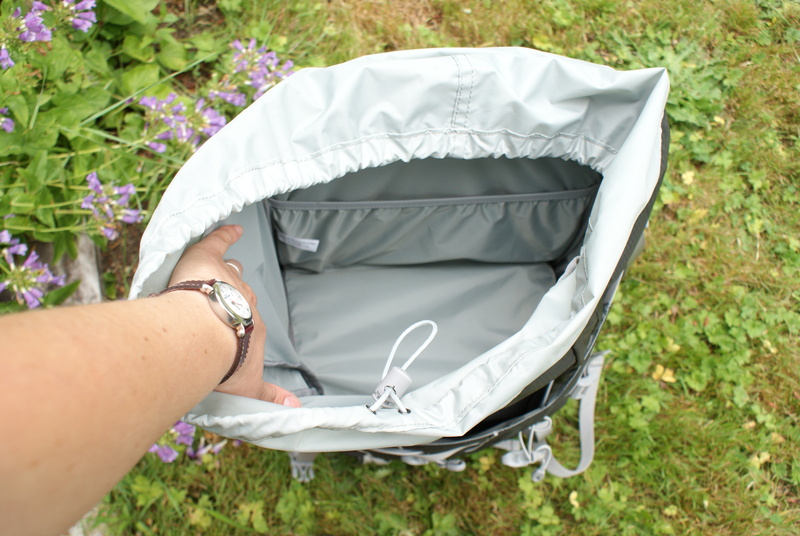 The gear compartment of the pack is pretty simple, with one large pocket and a flap to hold a water bladder. I was honestly surprised that it has enough room to carry all my gear – I am a confessed over-packer, and I was able to get my 10 essentials plus food and water and a few extra items inside. I did have to carry my rain coat on the outside, as well as my small tripod. But there are straps for this purpose. I think it would be a tight fit for winter gear, though, and I’ll probably stick to the warmer months for my personal use. 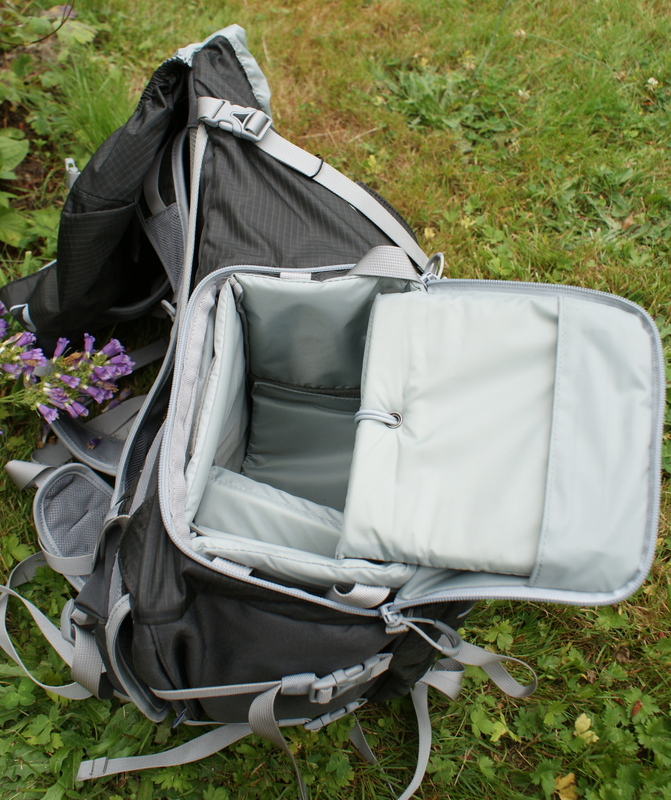 The pack has a top pocket over the main gear compartment for smaller items, and an adjustable front pocket compartment for stuffing in things like binoculars or a hat. There are 2 small pockets on the hip belt for storing jelly beans or chapstick, and a stretchy pocket on the side that doesn’t have the camera opening that is large enough for a Nalgene or a can of bear spray. 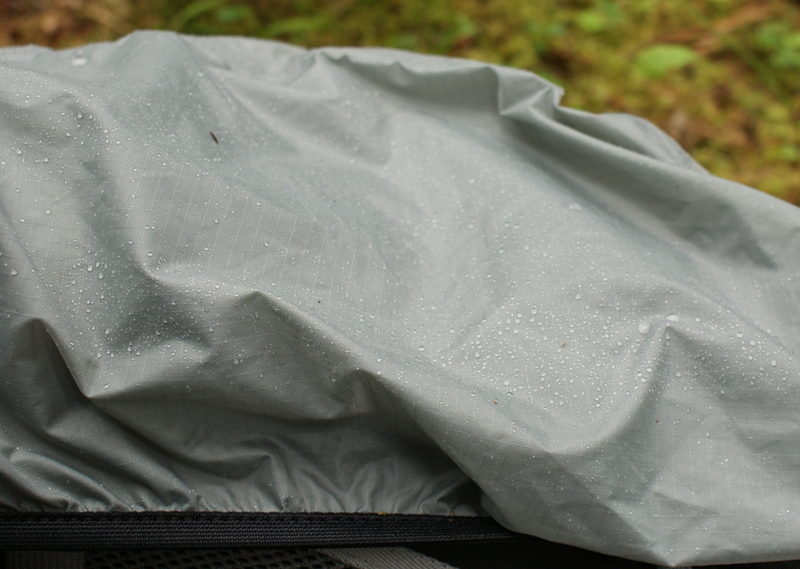 This pack has a port to stick the tube of a hydration bladder through, and an integrated rain cover that slips out from the bottom. 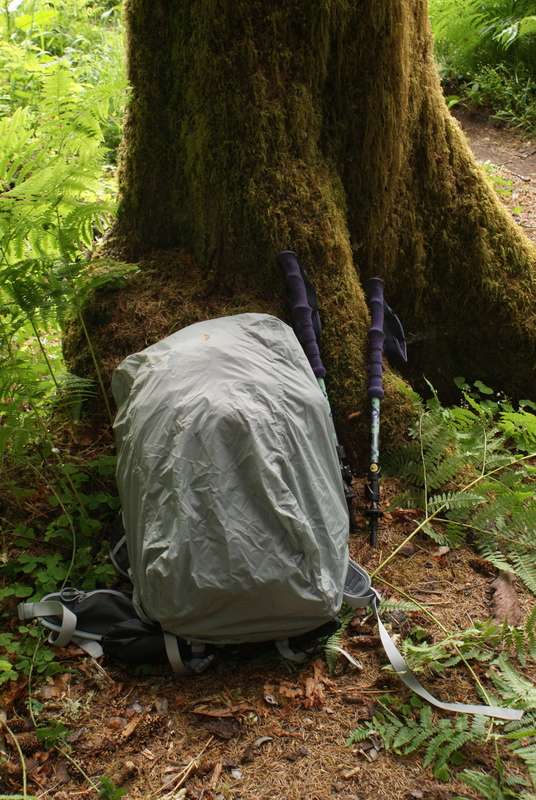 I did put this cover to use on my hike on the Hoh (it was the rain forest, after all…) and it worked great. Water beaded right up and ran off. 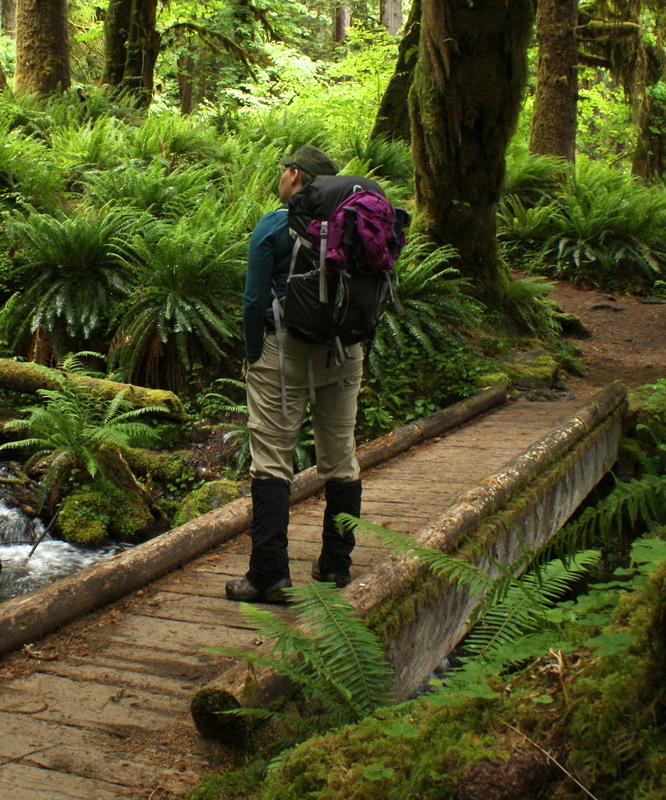 There are places to secure trekking poles when you need to carry them instead of use them. I did have one of my poles fall off, but I think I didn’t tighten the strap correctly and I didn’t have a problem after that. The back support is a mesh panel that lets air in to dry the sweat on your back. I have enjoyed using this pack a lot. It fills a hole in my inventory – holds my camera and enough items for a day trip, and works well for outings with the kids in town, such as nature hikes or a trip to the zoo or the beach. It’s lightweight but sturdy and well made. I don’t think I’d be able to cram enough into it for longer dayhikes with the kids (until my youngest carries all her own stuff), especially in inclement weather or in the winter. I think it will be replacing my older daypack for dayhikes without the kids. The Lowepro Photo Sport Pro 30L retails for $199.99. There are just a few things that could be improved on this pack. The shoulder straps are pretty thin and could use some more padding. On my full day trips with full water bottle and a day’s worth of food, plus camera and tripod, they started to make my shoulders sore by the end of the hike. I’d like a bit more padding on the waist belt, too. It would be nice to have a small zippered pocket in the camera compartment for smaller accessories and filters and such so they don’t have a chance of falling out. The zipper on the top compartment often caught on the fabric; I found this kind of annoying, though the fabric is slick enough it is easy to pull right out. Finally, the color is kind of drab (I’ll bet most men find it appropriate, though!). A few accents of color would be a nice touch. Like maybe purple. But I suppose that’s just a bit nitpicky. Otherwise this pack is great, and I recommend it. Edit to Add: I have done a second review of this pack after using it for several months. Click over to see my more recent observations.